Teni is a jazz singer and composer who makes afrosoul upon hearing her smoky and elegant funk, somewhat restrained and stripped back in a time when we are more used to over-emoting, one is immediately reminded of Sade Adu. from time to time with Seun Kuti and the Egypt 80, Felas' original band. 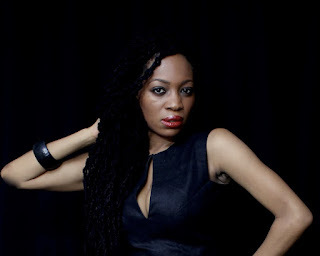 She is set to release the debut single from her forthcoming album "Afrodisiac," also titled "Afrodisiac," which features legendary master drummer and afrobeat co-creator Tony Allen on live drums and has a beautifully sensual music video that was viewed over 100,000 times on Youtube in just three months. With an album of truly classic, rootsy afrosoul music that is ten years in the making. Teni is set to revolutionize music with an epic self-produced sound that transcends genres from afrobeat, jazz and the blues to soul and reggae is inspired by eclectic influences from Fela Kuti to Marvin Gaye and Nina Simone and has a strong, truly timeless message. One Love! Africa unite! Coming out later in 2012.